After nearly five awesome years, Mark Taylor will be stepping away from his position as Operations & Event Director at MerGeo. Mark’s smile, humor, and frog hat will be greatly missed, however, he will be back to direct Run With the Kokanee in October, where his journey as our race director first started. We are excited that Mark is passing the frog hat—at least figuratively—to Kati Leigh. Kati is already an avid member of the running community through Brooks and Seattle Running Club, so we know her experience and passion for outdoor events is the perfect fit for MerGeo. 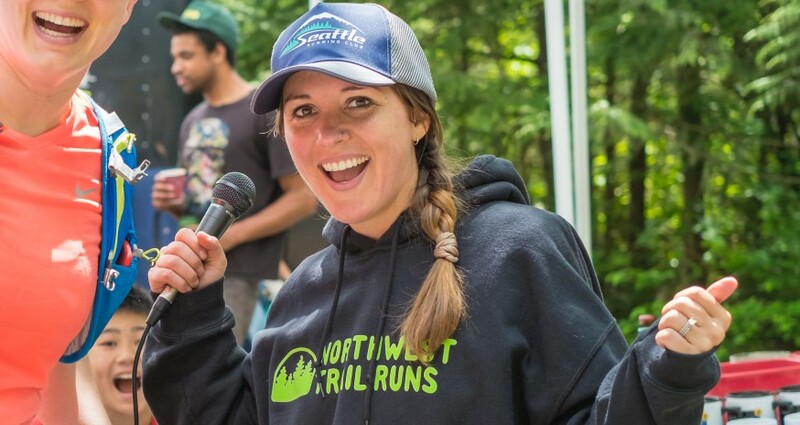 If you’ve been to some of our May events, you may recognize Kati, who is also co-director of the Cougar Mountain Trail Run Series. Kati brings a love of running, a keen eye for details, and a warm presence to our events. If you don’t already have weekend plans for June 3-4, we’d love it if you came to The Teanaway on Saturday for The Teanaway Navigation Race or on Sunday for The Teanaway Trail Run and joined us in giving your best to Mark and a warm welcome to Kati.